In the past ten years, ten women have died in HMP Peterborough. 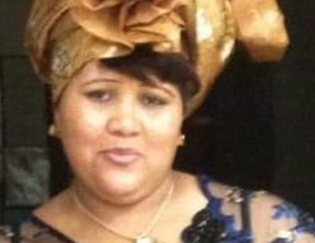 The inquest into the death of Annabella Landsberg, who was 45 and had Type 2 diabetes, has concluded, finding a catalogue of serious failures in HMP Peterborough, a private prison run by Sodexo. After two weeks of evidence, the inquest jury found “failings on the part of the prison, healthcare staff, GPs and custody officers that contributed to the death of Annabella Landsberg”. After a few months in other women’s prisons, Annabella was transferred to HMP Peterborough in May 2017. She was found unresponsive and taken to Peterborough City Hospital from HMP Peterborough on 3 September 2017 where she died three days later. Prior to being hospitalised, Annabella was critically unwell from around 7pm on 2 September 2017. She had been restrained by prison officers, and from this point on was observed to be lying on the floor without a pillow or mattress, not engaging or responding in any way. Throughout this 21-hour period, both discipline and healthcare staff observed Annabella on numerous occasions but failed to recognise how ill she was, considering instead that she was faking illness. Annabella died in hospital on 6 September 2017. On arrival at hospital she was found to be severely dehydrated and suffering from multiple organ failure. The inquest found the medical cause of death was a result of complications of hyperosmolar hyperglycaemic syndrome and rhabdomyolysis arising from Type 2 diabetes. A lack of awareness of Annabella’s diabetic status by healthcare staff and GPs, as a result of inadequate checks of medical history, resulting in a number of missed opportunities to recognise Annabella’s diabetes. Repeated failings to recognise the severity of the situation from diabetic symptoms such as oral thrush, dizziness, faintness, dry mouth and legs not working in combination with the lack of awareness of Annabella’s diabetic diagnosis. The inquest heard evidence that in the afternoon of 3 September 2017, Annabella was noted by discipline staff to have wet herself. A nurse was called to come and assess her, but instead of conducting any physical observation, she threw a cup of water over Annabella believing her still to be faking illness. Many of the prison and healthcare staff giving evidence said that they were unaware of Annabella having Type 2 diabetes, despite this being clear in her medical records. They described Annabella’s behaviour as challenging; on two occasions Annabella was located in the segregation unit as a means to try and manage her behaviour. Annabella had been diagnosed with HIV and suffered a brain injury as a result of TB since 2007. In December 2016, she was diagnosed with Type 2 diabetes which was to be managed by diet. Annabella’s family reported that her behaviour started to change after she became unwell in 2007 and she started acting in a challenging and childlike manner. Annabella spent time in supported accommodation and was in touch with social services, but her family say she did not receive enough support from them. The expert evidence heard confirmed how very ill Annabella was from the evening of the 2nd of September, expressing the view that by midnight she had become irreversibly ill and her chances of survival were very low. Therefore delay in providing medical assistance inevitably impacted on her chances of survival, but that had signs of her having high levels of glucose been acted upon prior to midnight on the 2nd of September she would have survived. At the time of her death there was no diabetic pathway or diabetic nurse in place at HMP Peterborough, something that is available in GP surgeries. The minutes of internal meetings disclosed to the inquest showed that concerns around the lack of diabetic services in the prison were raised over several months, if not years, with no effective action being taken by Sodexo to address this serious gap in their healthcare delivery at HMP Peterborough. In December 2018, the inquest into the death of Natasha Chin, a black woman from London who died in another Sodexo run prison, HMP Bronzefield, found neglect and systemic failures by prison and healthcare providers contributed to her death. Megan Phillips of Bhatt Murphy Solicitors, who represented the family, said: “This case has revealed shocking failures by both discipline and healthcare staff at HMP Peterborough. “Although Annabella became critically ill on the evening of 2 September 2017 an ambulance was not called until 3pm the next day, and during that time she was left, on the evidence heard by the experts to the inquest, semi-comatose on the floor of her cell while her health deteriorated. “Annabella had been at HMP Peterborough for over 3 months, and there were clear flags in her medical records, including with respect to her diabetes. “Yet numerous members of the healthcare team failed to read her notes, and key healthcare staff were unaware that she even had diabetes. “Disturbingly, the inquest heard that there was no specialist diabetics nurse at the prison, and no system in place to manage residents with diabetes. INQUEST has been working with the family of Annabella Landsberg since her death. INQUEST is a charity providing expertise on state related deaths and their investigation to bereaved people, lawyers, advice and support agencies, the media and parliamentarians. Their specialist casework includes deaths in police and prison custody, immigration detention, mental health settings and deaths involving multi-agency failings or where wider issues of state and corporate accountability are in question. This includes work around the Hillsborough football disaster and the Grenfell Tower fire. Deborah Coles, Director of INQUEST, said: “Annabella was a black woman with multiple vulnerabilities. That she came to die a preventable death in such appalling circumstances is shameful. “Distress of black women in prison is too often disbelieved and viewed as a discipline and control problem. Annabella needed care and therapeutic support but instead suffered dehumanising, ill treatment. “This is the second recent inquest to show private provider Sodexo’s shocking failures to meet the basic healthcare needs of women in prison. “Sodexo continue to profit from running harmful services.